Getting there - By car: A30 Salerno-Reggio Calabria up in Battipaglia, S. s. 18 south to Agropoli, former SS-267 S towards Castellabate. Mary S. Mark Bivio Ogliastro Marina (50 meters after the supermarket Sisa and 30 meters before the junction). Located between Paestum and Velia, is the beautiful medieval town of Castellabate, one of the most important seaside resorts of the Cilento Coast, as well as significant historical and cultural interest in the National Park of Cilento and Vallo di Diano. 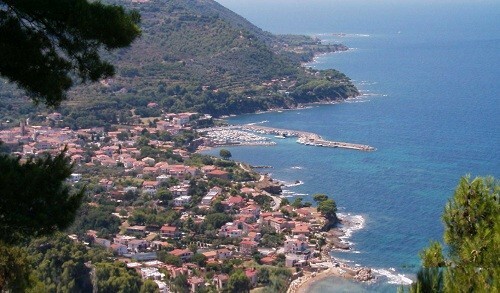 Along with the whole Cilento, Castellabate is also the home of the Mediterranean diet, made ​​famous in the world by American nutritionist Ancel Keys. Castellabate grew and expanded around the castle, founded in 1123 served the population as shelter from raids by the Saracens based in Licosia who were here defeated in 846 by a coalition of the Duchy of Naples, Amalfi, Sorrento and Gaeta. 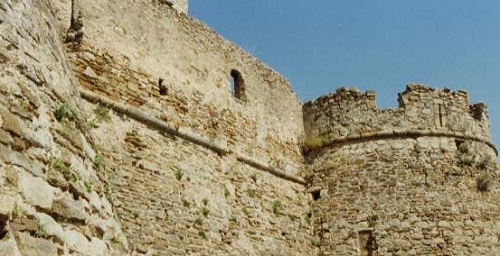 Castellabate earliest reference in literature is possible by Homer, but the written history of the territory is tied to Saint Costabile Gentilcore (St. Constabilis), fourth abbot of La Trinità della Cava. In 1123, the same year in which he was elevated to the position of abbot, he started construction on the Angel's Castle (10 October 1123), which afterwards became entitled to him. His abbacy lasted until 17 February 1124. His successor, Simeon, completed its construction and helped the inhabitants. 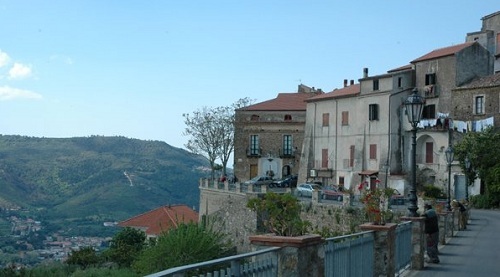 For over half a century now, Castellabate has been one of the favorite destinations for those who choose the Tyrrhenian Sea, attracted by the architecture, environment and warm hospitality... and to tight the proverbial knowt. And, for this reason, Castellabate, is also home to several wedding planner. What to see - suggested sites in addition to the old medieval town (Unesco World Heritage Site) and the remains of the castle are : the Basilica of Santa Maria de Giulia, built in the seventeenth century and the Church of the Rosario. 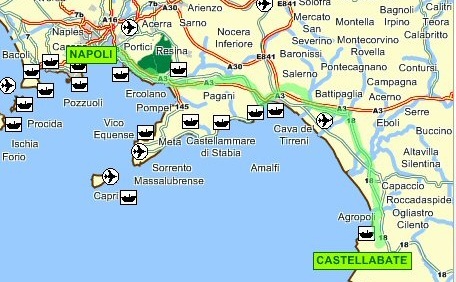 Down below, only 3 km away is Santa Maria, a "frazione" of Castellabate and the most populated. The town was known in the 18th century as "Isca delle Chitarre", it holds two squares, Piazza Matarazzo and Piazza Lucia and the oldest houses are located in front of the little harbour in a place named "Porte le Gatte". 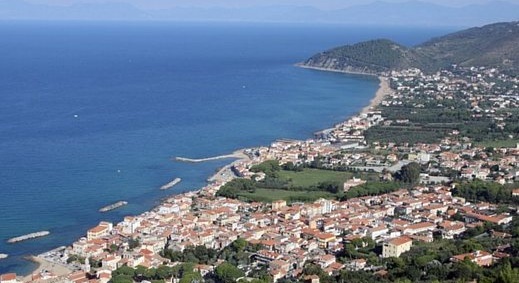 Santa Maria lies in the central-northern side of the Cilento, alongside the Tyrrhenian Sea, and is extended from the zone of Lago, to the beach of Pozzillo. ...San Marco di Castellabate a fishing village of about 1200 people situated between Santa Maria and the entrance to the park Licosa. The old port, known as "Erculia" in Roman times, was built around the first century BC. This structure, of which you can still see some remains half submerged, was used by Roman ships of considerable size on route to Africa. The modern harbor of San Marco was built in 1954 and houses the local fishing fleet and pleasure boats. A walk from the port to Piazza Luna Rossa brings you to the sandy beach of Pozzillo. Along the walk you will find a cave, (here Palaeolithic artefacts were oncefound ) and the remains of a necropolis (whose findings are exhibited in the Museum of Paestum). In these 800 meters of coastline there are also rock formations known as Flysch del Cilento and the characteristic rock of the Crocodile.The center of San Marco, consisting of buildings of the late nineteenth century, located in the village's square "Ciuseppe Comunale" is the church of St. Mark the Evangelist. In the area above the town center lies the forest of Castelsandra, a natural park with various species of vegetation and nature trails. 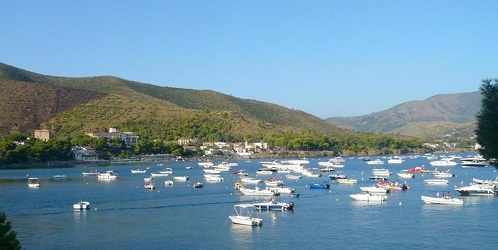 Bordering San Marco is the tiny village of Ogliastro Marina which also include the Island of Licosa. The center of the village is designated by the Piazza John Paul II, where the church of Santa Maria delle Grazie, built in 1896, is also located. Ogliastro Marina, can be easily reached from San Marco through an enchanting trail filled with lingering Mediterranean scents.